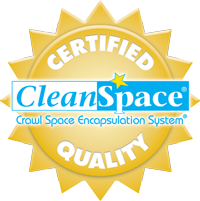 Crawl Space Repair Foundation Repair Concrete Lifting And more! If you have a damp or wet basement, Quality 1st Basements are the experts to call. We provide basement waterproofing, crawl space repair and foundation repair services to homeowners in Brooklyn, New York City, Bronx and Staten Island. Whether you use your basement for storage, as a rental property or for entertaining friends, water problems can really put a damper on things. Luckily, we’re certified in basement waterproofing and we have the expertise, products and trained crew to solve all your waterproofing and structural repair needs. 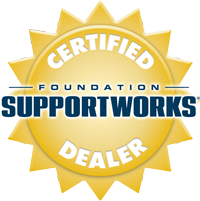 We'll find the right solution for your foundation problems. Quickly & effectively stabilize your sinking, settling concrete! We offer a variety of insulation options that can make a difference in your home's comfort. Here in the New York City area, basement space is extremely valuable. So when a foundation crack or basement leak happens, we understand that your first priority is getting your home fixed correctly and permanently. Quality 1st Basements has become NYC and Staten Island’s trusted contractor for two reasons: quality work and customer service. We are confident in our craftsmanship and guarantee our work. Our basement waterproofing system comes with a transferable lifetime warranty, and our foundation repair and crawl space encapsulation products have their own 25-year warranties. You can expect our work to last for as long as you’re living in your home. Whatever particular challenges you’re facing in your home, whether it’s cracked or bowing basement walls, foundation settlement, basement flooding, musty odors or mold in your crawl space, we have the solution. "I wouldld score a 10! Wilver Cardoza was my Foreman and he..."
"Juan and his crew are the best. Neat and efficient. Job..."
"we were extremely happy with the service, product and have..."
We have solved thousands of waterproofing and foundation issues for homeowners and property managers all throughout NYC and Staten Island. We believe our customers deserve only the best, and that’s what we provide. All of our waterproofing and repair solutions are custom designed for your home, and all work is completed on-time by knowledgeable, experienced technicians. It’s this quality work and dedication to customer service that has led our customers to continually recommend our basement, foundation and crawl space services. Quality 1st Basements services all five boroughs of NYC: Brooklyn, New York City, Manhattan, Queens and Staten Island. We provide FREE in-home inspections and estimates, so call today to schedule yours!